The Fruit of the Spirit | Lesson 11 in series "All About Me"
If I were to ask you, who God is, what would you say? First of all, He is a person of Supernatural love. We have such a twisted picture of true love that we could take weeks off to ponder what God’s love is really like. Would it be like the love of a mother, father, or best friend? No all these would be hopelessly inadequate. God refers to us as the “Apple of His eye.” Ah! This gives me a good feeling and a sense of worth. Is this because of who I am? No, it is because of who He is. LOVE. Ponder this for a while. God set His very best possession aside for a while in order to save me and you. He has eternal plans for us if we will accept them. We like to think of the “Fruit of God the Holy Spirit” as something that we have, but it really is God’s fruit, His character. He has it and would like to give it to us if we have made room for it. Have we gotten rid of the rubbish in our lives? If we have He is prepared to make us godly and if not we continue to be ungodly, loveless, joyless, and peace-less. We may have received Christ but not given Him the rooms of our heart. The evidence is the fruit. I like to think that God wants us to be Love-full, Joy-full and Peace-full within. His concern is not: “put on a happy face.” Rather, it is do you have a happy heart? If we have the above then it will ooze out as a result of how we are inside. If we are full of self-will inside that too will ooze out. Have you ever noticed it of yourself? Secondly, the Fruit of the Holy Spirit is not only love, joy and peace within, but towards others it shows itself in longsuffering, gentleness, and goodness in our behavior with those around us. Ponder that for a while. The last part of the elements of the Fruit of the Holy Spirit is faith, meekness, and self-control. I like to think of this being character qualities that show themselves over the long haul. 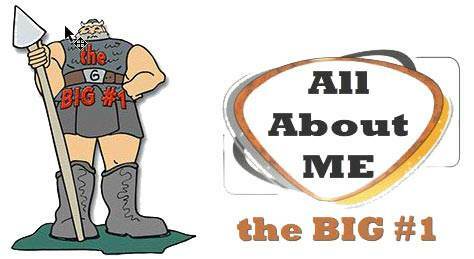 Have you heard of the “Faith of Abraham,” the “Meekness of Moses” and the “Self-Control of Jesus Christ”? The Fruit of the Spirit! Many Christians are very concerned about having the fruit of the Spirit but are seemingly unconcerned about dealing with the Flesh. It is like wanting a nice garden but not dealing with the weeds. Many wonder why their spiritual garden doesn't have more love, joy and peace; and we would have to say it is because it is so full of hatred, bitterness, and strife. Deal with the sins of the Flesh, and God will produce the fruit of the Spirit. Most of the time we would do any effort or work as long as we can avoid dealing with our sins. 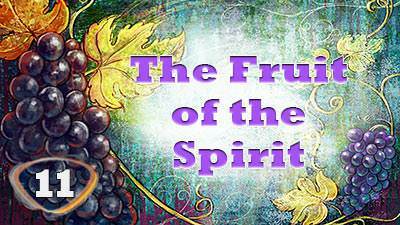 Remember, it is the fruit of the Spirit and He is the custodian of it. When we meet His conditions He provides it. No amount of our effort will produce it. Trying to have love, joy, and peace is not the answer; it will just lead to frustration and emptiness. It takes repentance and brokenness.